While driving home to Hemsworth we had a barn owl fly low over the road just on the outskirts of Ackworth around the marshy end of the school playing field along Barnsley Road. This is a new location for this species and it’s nice to be getting regular sightings of this once very scarce local bird. 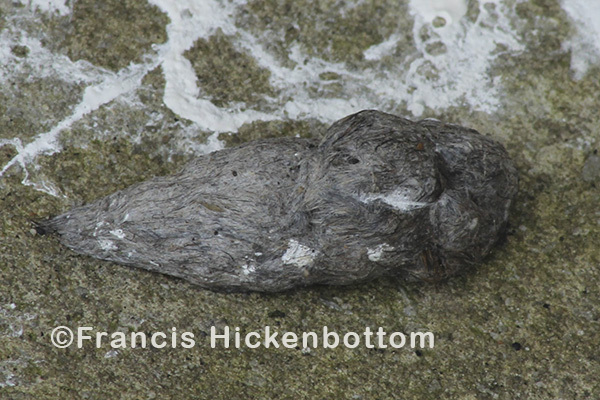 Earlier this week, I noticed some bird droppings at the base of a wall at Ackworth School. 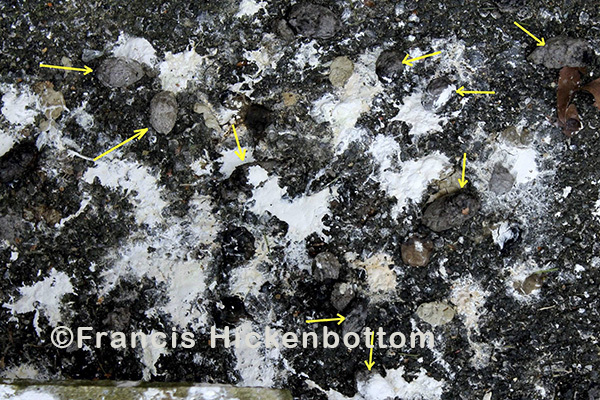 Amongst the droppings, I could see that there were many pellets. I checked the spot on two consecutive evenings and I found that a kestrel flies in to roost at dusk each day. 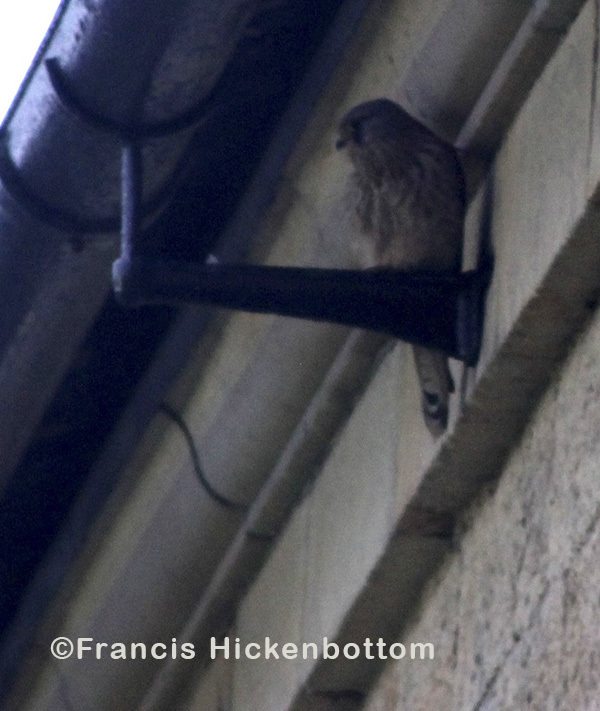 The Georgian buildings have guttering supported by cast iron brackets and the kestrel finds shelter by perching on these. In the same area, a barn owl was seen flying over Ackworth School a week ago and a member of staff saw two barn owls flying over a field alongside Station Road, opposite the school, more recently. The sighting of two owls is encouraging as there is a possible nesting site nearby. 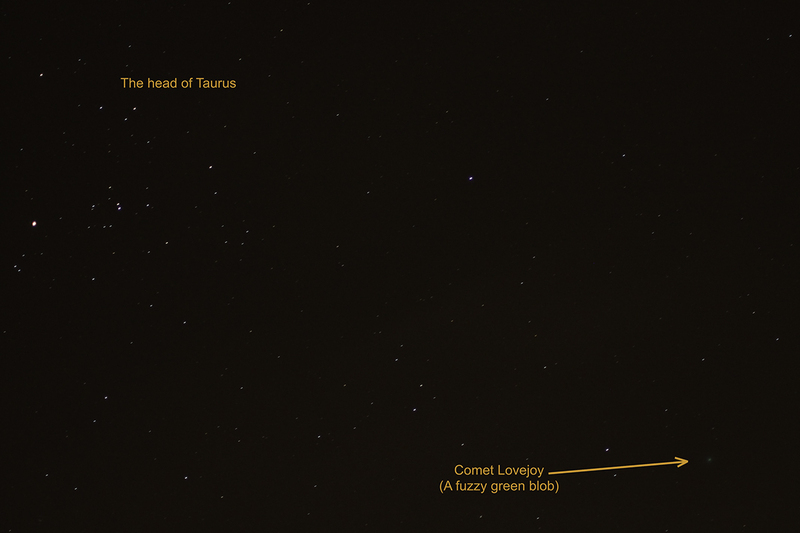 I have attached two pictures that I have just taken from outside my back door, using only a camera. Light pollution is a nuisance and the astronomers deal with this using a filter that removes the light produced by the sodium street lines. 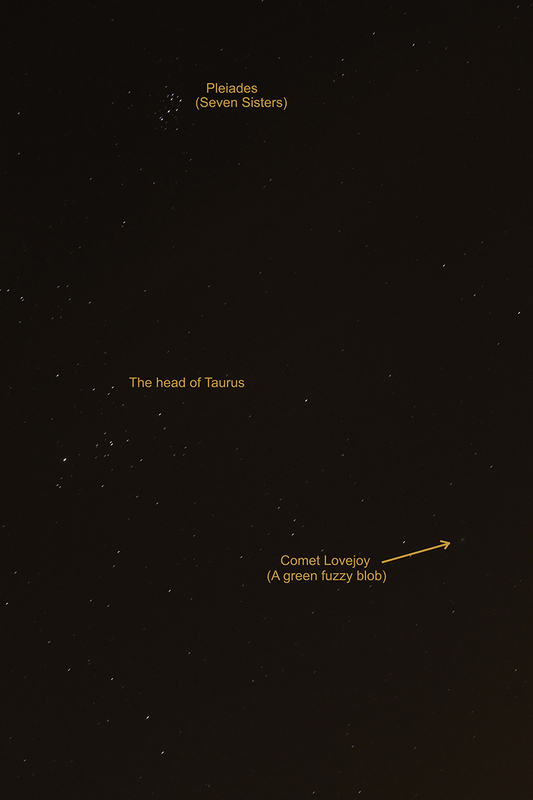 I have had to compress the pictures, so there has been some loss of quality, but you should see the comet as a distinctly green blob. Due to unforseen circumstances, the Annual General Meeting will be postponed from the January meeting until the February meeting and there will also be a change of speaker. However, the one thing that remains the same is that the lecture subject will be about honey bees. Our very own resident scientist and peregrine watcher, Francis Hickenbottom, has stepped in and will give a presentation about honey bees and bee-keeping. Apparently, not only is he an awesome cosmologist, but is also a former bee-keeper! With no end to his talents and his relaxed public speaking manor coupled with downright enthusiasm, this will be a great lecture and one not to be missed! One of the RSPB’s longest serving staff members will be visiting Ossett on Thursday 22 January to give a talk entitled ‘Birds without Borders’, a presentation using some of the latest research findings and illustrated with his own photographs from around the world. Peter Holden MBE has authored or co-authored more than a dozen books which have together sold more than a million copies. His most recent title Birds: their hidden world was published in February 2012 and will be available on the night. In the past Peter has joined Bill Oddie to present the BBC TV series, Bird in the Nest, and he runs courses on birds and wildlife for Cambridge University’s Institute of Continuous Learning at Madingley Hall. The event will take place at Ossett Community Centre on Thursday 22 January 2015, beginning at 7.30 pm, entry fee £3 for non-members and £1 for members of the RSPB Wakefield District Local Group. The RSPB Wakefield District Local Group are very keen to attract as many interested people to the event as possible so please will you let any like-minded friends or family know about the event?